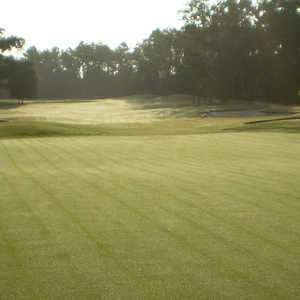 Created by Tour 18, Inc. , Augusta Pines is a new 7,000-yard track located at the southern edge of The Woodlands. The lush setting is perfect for golf, highlighted by over 30 acres of lakes and creeks and loads of oaks, pines, and dogwoods. Cypresswood started the trend toward high-quality daily-fee golf clubs in the Houston area, and now features three regulation 18-hole courses in the floodplains of the Cypress and Spring Creeks. Towering trees, no nearby homes, and no out-of-bounds, are just a few of the features of this Pinehurst-like experience. 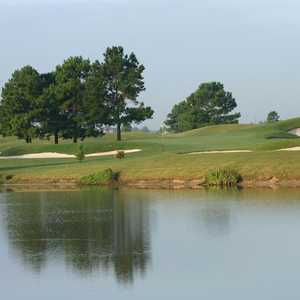 One of Houston's top-rated public courses, Gleannloch Farms features a Jay Riviere 27-hole track on the site of the formerly world-famous Gleannloch Arabian Horse Farm. Loaded with rural charm, the gently rolling terrain snakes through the tall pines highlighted by strategically placed lakes, sand bunkers, and grass bunkers. The Lockh nine opens up with one of the most difficult holes on the course, a 459-yard par 4 that will leave you satisfied with a bogey. The best birdie chance is No. 6, which only plays 143 yards from the gold tees. The Pines nine opens up with a 580-yard par 5 and offers a four long par 4s along the way-three of them make up the final stretch of holes 6-9, which are all par 4s. Editor's Note: The New course was closed - Old course is the only one left at this facility. Robert von Hagge and Bruce Devlin turned their attention to Raveneaux once Walden on Lake Conroe was completed in 1974. Spring Valley is the realization of the late, great Texan Vernon A. Roland, who grew up on the land, served the country in World War II, and became a successful businessman by running Houston's Roland Cleaners. The Tradition Course opened for play in 1998, and might be the best of the three tracks. A traditional, Donald Ross-like design with rolling fairways and links-style bunkers, the course also features large greens. Once a relatively unknown secret where Houston-area pros stopped by for casual rounds on their days off, Willow Creek is a difficult track that's definitely worthy of challenging the world's best golfers. 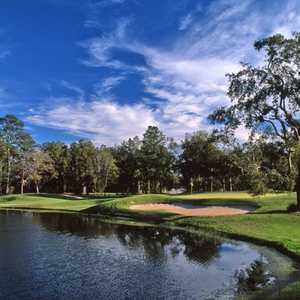 Windrose is a fun golf course that rolls through the wetlands, lined by oaks and pines and spotted by lakes that come into play on about half of the holes.